Have you been banging your head on the wall trying to get ideas for a new story? When you have finished reading this article, please scroll down and leave a comment. We’d love to hear from you! Coming up with an idea for a fantasy or historical story can be an interesting exercise. You’d think that there are an infinite number of possibilities when writing a fantasy. After all, wouldn’t anything be possible? Fortunately, there are many ways that you can come up with ideas. 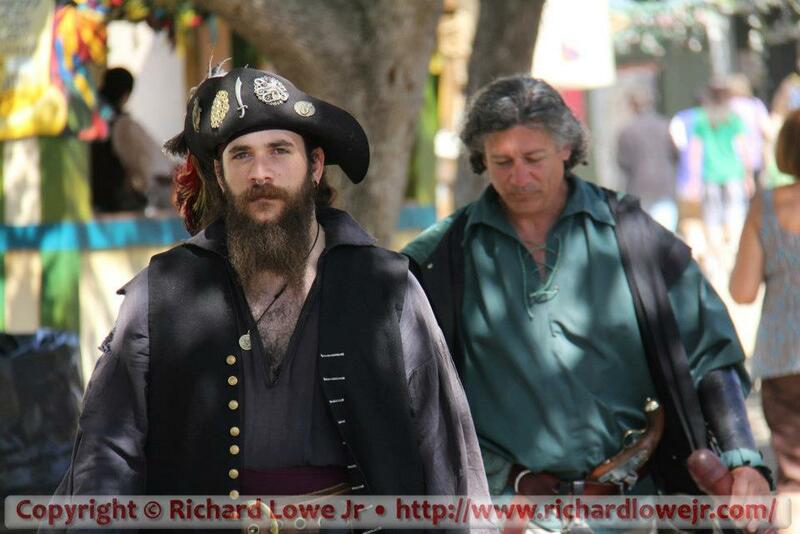 One of the most interesting is to visit local Renaissance festivals or reenactments. A Renaissance festival is a re-creation of a town or locality based on the history of the Renaissance or a similar period. Sometimes there is a fantasy element involved, and at other times they go to extreme lengths to be historically accurate. Reenactments are when a group of people who are enthusiastic about a bit of history get together and play out that time. You can find Civil War reenactments, Revolutionary war reenactments, World War II reenactments, and reenactments of any other period in history. By visiting these, you should get ideas about stories that you can create. For example, you see a visitor to the Renaissance Festival in a fantasy princess outfit. Who is this fantasy princess? Is she escaping from being captured by a dragon? Is she a thief? Just look around, and ask yourself questions about what you see. As you observe, use all of your senses. Smell the food cooking, and imagine how that smell could be written in words. Listen to singers, musical instruments, swords clanging together in a joust, and and so on. Taste the food. While, of course, it’s not historically accurate by any means, it’s probably different than you’re used to. Make sure you bring a journal, or a tablet of paper, and some pens and pencils. Make notes as you walk around. Write down all of your ideas, what you felt, heard, smelled, and tasted. All of these things will be useful as you write your stories. If you do that long enough, you’re sure to come up with some ideas for your stories. Additionally, you’ll have a great time eating the food, smelling the smells, listening to songs, watching jousts, and so on. These festivals and reenactments are a great way to spend an afternoon or a day immersing yourself into another time or another place. Let’s look at some examples using pictures that I took when I was at the Renaissance Festival several years ago. Who is this mysterious woman? What secret does she have? This dancer, named Sabrina, has a very exotic look. What’s on her mind? As she dances, listen to the jangling of her jewelry, observe how her hair swirls about her head, and notice the placement of her veil. What secrets does she have? What’s on her mind as she gives you that stare? Is her finger in that position to signal to an accomplice? Let your imagination go wild, there’s quite a few stories possible based on this single picture. Who is this dancers story? 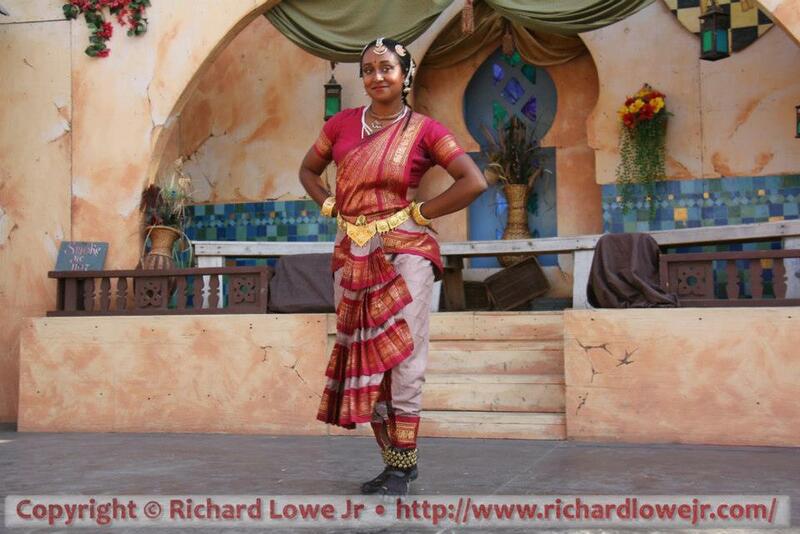 Here we have another dancer, whose name is Sakuntala. Why does she dance that way? What’s going on behind her? Why is she looking at you? What do those bells on her ankles mean? Again, just observe using all your senses, and ask yourself questions. Write those questions down in your journal as well as your observations. Is one of these a magic pendant? 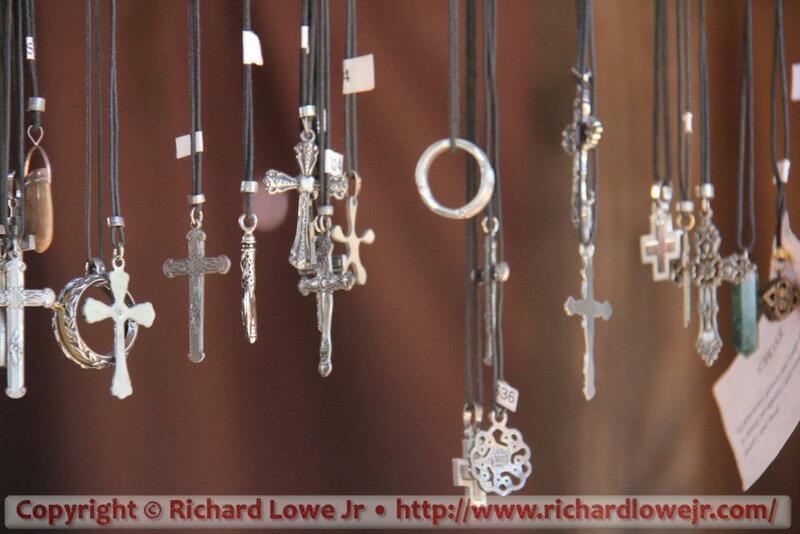 This is a simple picture of some necklaces hanging in the shop at one of the Renaissance Festivals in California. There’s a lot of material for stories in this single photo. Imagine one of those pieces of jewelry is a magical pendant or is extremely valuable. How did he get here? What is the story of the person who had to sell it to the shop to make a few coins? How did the pendant get made? What are it’s properties? What is the pirate scheming about? Now we have a pirate. Is he one member of the crew of the ship full of pirates? Is he scouting out this Renaissance town in preparation for an invasion? You see how just looking at a single character can give you a boatload of ideas. Why is her hair that color? Where is she from? What’s her story? For our final picture, you can see that she’s not dressed in Renaissance garb. 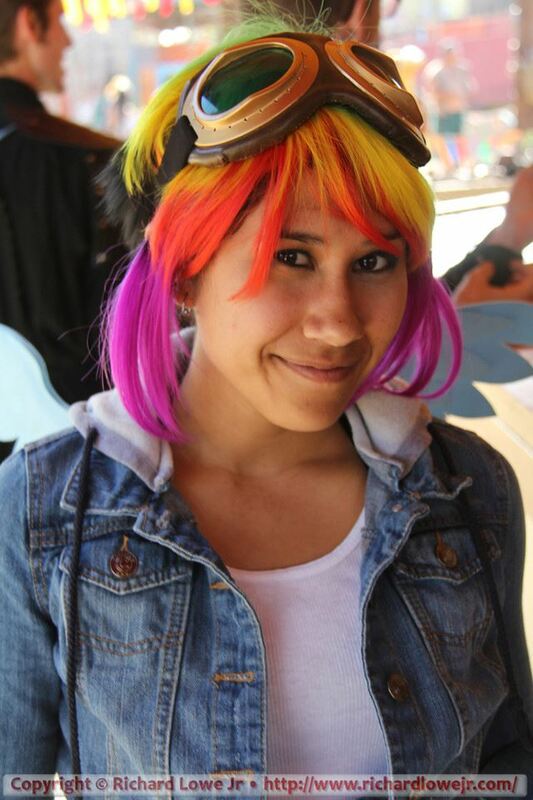 She’s wearing steampunk goggles and has brightly colored hair. But that doesn’t stop you from observing her and coming up with ideas for story. Is she a time traveler? Is she a member of some distant tribe? Is that her natural hair color, and if so, what’s the story behind that? You see how this works? Just walk around any kind of festival, and come up with ideas. Observe what’s happening around you. Smell the smells, taste the tastes, and touch things as well. By doing this, you’ll come up with some great ideas, and your writing will become much more rich and full of life. Other historical reenactments work the same way. We’ll go into those in more detail in future articles in this series. Be sure to leave a comment below and let us know how this helped you with your writing and what kind of ideas it’s given you for future stories. 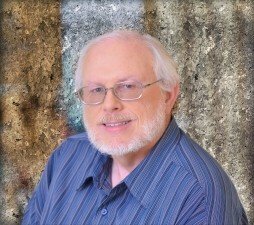 Learn To Write Fantasy That Sells! This entry was posted in Story Ideas and tagged fantasy, historical fiction, reenactments, renaissance festivals by Richard Lowe. Bookmark the permalink. Next → Next post: Is Historical Accuracy Important?